If you ever wonder what Doug Williamson is all about then just remember that he and his co-founder picked penguins as the symbol for Esquires Coffee. “They are 100% community-focused and live and die depending on how well they work together,” he says. “It’s really quite amazing.” Just like the Antarctic avian, the coffee chain recognises the value of working together with the people around you. “It’s our USP and our DNA,” he says. And now, as managing director of Esquires Coffee UK, he’s put collaboration at the heart of the franchise’s aim to become Blighty’s best barista franchise. Nevertheless, his studies did provide him with the opportunity to befriend a fellow student named Gary Buckland. “He wanted to go into business, had some money in a trust fund he wanted to invest and asked me to help him investigate different businesses,” Williamson says. Initially just seeing it as a good exercise for his own future plans, everything changed when they discovered the coffee industry. “Starbucks had just come to Vancouver and we literally stumbled upon it and thought ‘wow, this is really something’,” he says. Inspired by the experience, the duo decided to try their hands at making it in the sector. The solution to this conundrum came to them during a trip to Denver. “I was in charge of the money,” Williamson says. “It was in my wallet and I lost it.” To make things worse, once they’d contacted their family for funds, they were told the transaction would take three days. Instead of checking out micro-breweries, they ended up sitting in their hotel room reading books and living on a predominantly crisps-based diet for three days. Luckily, while reading The Firm by John Grisham he came across the word ‘esquires’. “It just jumped out and I suggested it to Gary and we both went ‘yeah, that’s the name,’” he says. Armed with the name and a solid business plan, the co-founders set out to find their first site. However, this would prove a particularly difficult challenge. “The landlords kept rejecting us because we were two 23-year-old kids with no capital or assets to really speak of,” Williamson remembers. Undeterred, the partners kept looking until they eventually had a spot of luck. “We found a property in a shopping mall that was under receivership and they figured they could give us a chance,” he says. Eager to stand out from the crowd, Williamson drew from his experience in acting and saw the business as a production and their employees as its ensemble. “We didn’t hire people with experience but who had character and personality,” he says. “We hired interesting people.” With this cast in place, they trained them to prepare and serve all 23 coffees on the menu. Moreover, they ensured that they always left customers with a great experience. “It was really magical,” he says. Even though Esquires Coffee offered a unique experience, the results when they first opened were less than encouraging. “We only made $73 on our first day,” says Williamson. “Being a numbers guy I got really stressed out from it.” But rather than calling it quits, the founders and their staff dug down deep and held the course. Eventually it paid off when the local kids and then their parents noticed the coffee shop. “Suddenly we were making money hand over fist,” he says. “We were loving it. The staff felt like family and it was really a special time. The community accepted us because we were employing people and supported local schools and sports teams. We were part of it.” The result was that the coffee shop became the shopping centre's biggest draw, revitalising it. After securing its first franchisee within nine months after opening the initial store, Esquires Coffee subsequently grew to 34 stores across Canada by 1999. However, successful as they were, they didn’t have any plans on expanding internationally. “But as fate would have it a lovely couple – he was Canadian and she was Scottish – visited one of our shops,” Williamson says. “They were absolutely blown away.” Impressed by the experience, they reached out and persuaded Esquires Coffee to give them a chance to prove their chops across the pond. “And that’s how we went international,” says Williamson. Having sold his shares in the company, Williamson was quickly recruited by Canterbury Coffee, the coffee-roasting company. “I consider it a five-year romance with coffee,” he says. Not only did the experience offer him greater insights into the supply chain of coffee and how important sustainability is but it also enabled him to benefit from the mentorship of the company’s leadership. “It helped me mature as a business person instead of being a wild rogue,” he says. 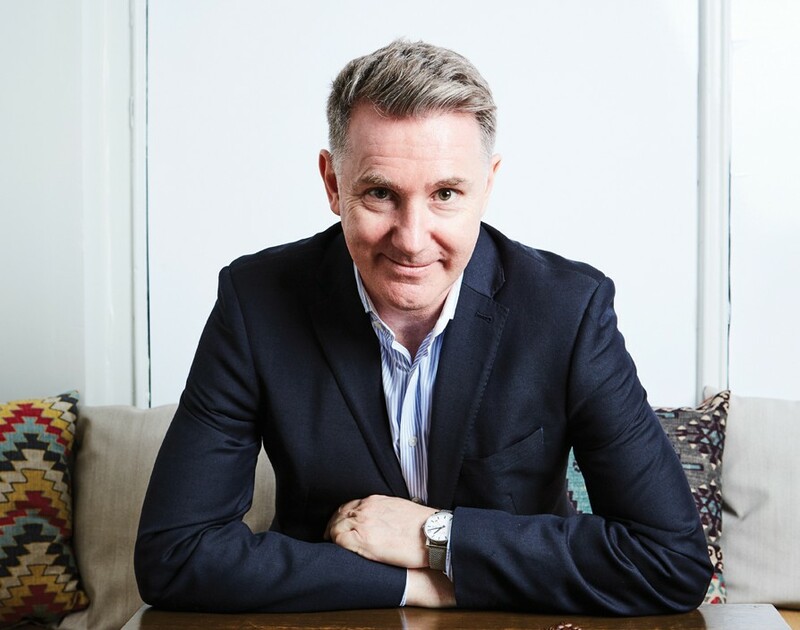 Luckily, the chance to leave the sector presented itself when the then-owner of the global rights to Esquires Coffee, Stuart Deeks, contacted him in 2013. “He told me ‘we want you back’,” Williamson says. “He said ‘we’ve been talking with every master franchisee and they all agree that things went downhill after you left. So what will it take?’” When enquiring what Deeks had in mind, he asked if Williamson would spearhead the operations in the UK. Given how the country had charmed him in the 1990s, the decision proved a no-brainer. “I said, ‘yeah, I’d be interested in that,’” he remembers. Eager to do his due diligence, Williamson ventured across the pond and what he saw shocked him. “Things were essentially where I had left them, the brand hadn’t adapted and the stores were getting older,” he says. But even more alarming was the fact that the franchisees didn’t seem to love what they were doing. “There was no passion but a lot of tired and unhappy franchisees,” he says. “But I thought that while it would be a challenge, the only way from there was up.” Encouraged by the opportunity to make a difference, he signed the dotted line and flew his family over. Having avoided this increase in rents, Esquires Coffee was primed for expanding the network. And much like when they recruit talent for the shops, he wants to make sure new franchisees have the right attitude. “Will they roll up their sleeves to work and do they understand that it’s not a guaranteed success?” he says. Recognising the importance of this he makes sure to meet all candidates in person. “They can fill out all these applications but until I can look them in the eye when they tell me about their families and their values you really don’t know,” he says. Once accepted, each budding franchisee goes through an extensive training programme. “We tend to overtrain sometimes,” Williamson laughs. The training kicks off with the franchisee and their key employees visiting the franchise’s roasting partner in Glasgow in order to get a sense of the production. Additionally, each candidate goes through three days of extensive classroom training and assessment to ensure they’re ready for running their own business. This is followed by two weeks of in-store training under the tutelage of a franchise mentor. Moreover, the franchisor helps them recruit and train staff, source materials and set up the store. “And then we have a key operations professional in the store until they feel they’re ready to go it alone,” says Williamson. Given the dedication the franchisor has put into the franchisees, it’s hardly surprising the UK network has grown steadily in the past few years. “We currently have 30 franchisees and we’ve got another eight franchise owners signed on,” he says. But he’s not stopping there. “At the end of our next fiscal year, March 31, I’d like 50 stores done and signed on and franchisees in various stages of completion,” he says. However, Blighty isn’t the only place where the network is growing. In fact, the company is on course to reaching its target of 580 stores across the globe by 2020. “I’d like to see a thousand but recognise that it’s a lot of work,” Williamson says. And as the founder, he’s not afraid of chipping in wherever he can. “It’s always nice to meet people and talk about what we can do, the passion and where we’re going,” he says. Following his return to Esquires Coffee after his marketing misadventure, it feels as if Williamson has landed where he belongs. “I just love what I’m doing and I’d be happy to keep doing this until I retire,” he concludes.